Craig has been designing one-of-a-kind pieces for over 12 years. 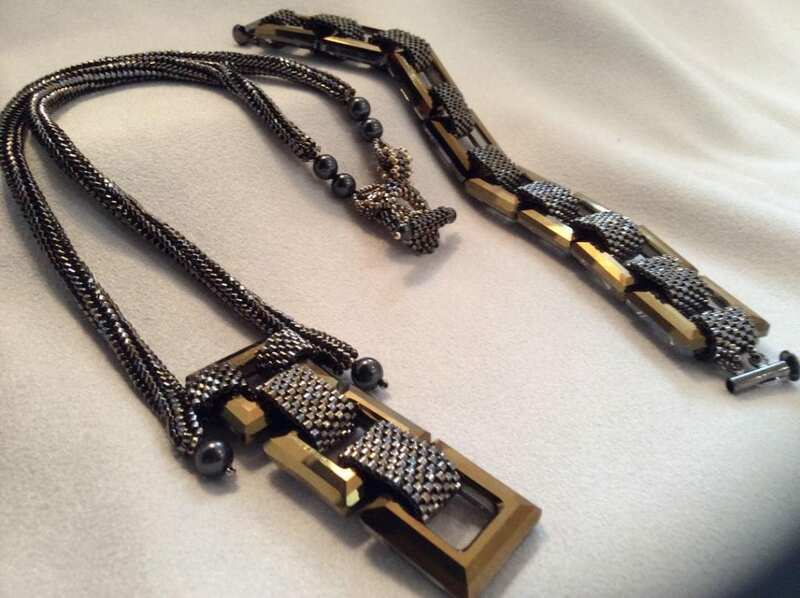 He designs with great pride when creating wearable art for everyday wear as well as pieces for special occasions. Craig is known for the stunning pieces incorporating Swarovski elements, pearls and seed beads. And lately, he has been using other artists ceramics, blown glass and items found in nature as focal objects of the bead embroidery. Pearls are strung by traditional methods; natural stones and supple leathers are painstakingly united with the daintiest of hand-stitches; and crystals are accented with the finest beads and finishes available. As a master bead artist, teacher and published artist, Craig shares his knowledge and expertise with fellow artists. Always willing to try and explore new techniques, using newly designed beads and shapes, this every changing medium, will present endless avenues to grow and explore. Craig is excited to journey down these roads.